Velas Latinoamerica was the first of its kind and it sure was an immense success. Rumours have been confirmed that the organization wishes to bring it every 4 years! 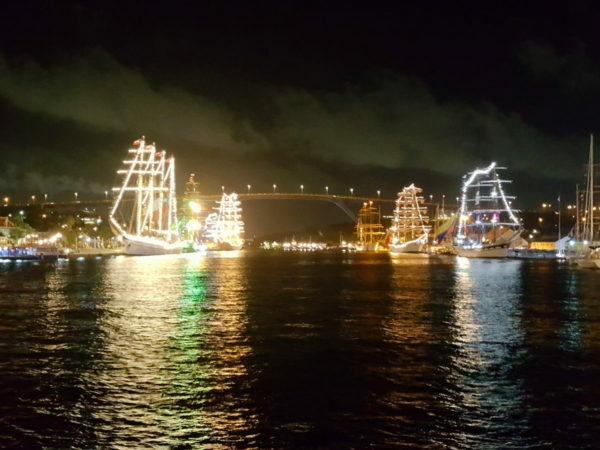 CPA was also very content with the organization of the event and the contribution and support that they were able to supply as the ports authority of Curaçao. Let’s hope that they succeed, because this event sure has set another international spotlight on our Willemstad harbor. Part of the tall ship event was right here in our backyard, bringing lots of visitors through our neighborhood and streets. The Waaigat parking came in ideal again, offering many visitors a parking spot at walking distance to the event. Half of the tall ships were moored at the Kleine Werf and part of the entertainment was on the docks. It was an amazing sight to see as many will agree. A next event of this kind could offer an even more positive effect on our economy, as people and organizations only now know what it really entails. We think that nobody really new what to expect and nobody anticipated on it. There were almost no flight promotions, hotel packages restaurant specials catering to this specific occasion. Something that we expect to be different a next time around.